Those of us on the Oregon Save Our Schools Communications committee really enjoy the "Humans of New York" blog. We thought it would be great to play off the idea of that blog and create a few blog posts about the "Humans of Oregon Save Our Schools" to introduce our followers to some of the many people who also follow us! It's been said that the most revolutionary thing we can do is introduce people to each other. With that in mind, we would like to introduce you to the Humans of Oregon Save Our Schools! 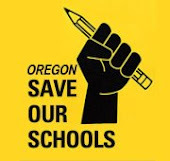 If you would like your story about why you joined or follow Oregon Save Our Schools, what OSOS means to you, or why you think OSOS is important featured in a series of blog entries, send a short paragraph with your bio and tell us how and why you are involved! Thanks, and we hope you enjoy our first entry. At 78, I have spent just over a half century doing the best I can to help improve learning and life for kids and other folks who have little “voice” to speak for themselves. It continues to be a rewarding but weird journey. I hold a B.A with dual majors in Political Science and Education, an M.A. in counseling, and a PhD in School Administration. I am a lifetime Honorary Member of NEA and have received a Career Achievement Award from The American Association of School Administrators. I worked 39 years in education, 32 of them at the Northwest Regional Educational Laboratory as the Director of Planning. My job was to work with state and national leaders to improve educational practice through research based innovation and enlightened policy changes. I retired in 2000, and began a " second career" as a volunteer advocate for schools and those living in poverty. In addition to my work with Oregon Save Our Schools, I serve on the Public Policy Council of Ecumenical Ministries of Oregon, am a member of the Oregon TANF Coalition, and a member and past Chair of the Canby Education Foundation. The Oregon State Board of Education's stumbling, bumbling decision about the use of Native American Mascots at its January 21st meeting reveals the Board to be little more than a puppet of the Oregon Department of Education's leadership. This Board must be closely monitored by all who have an interest in protecting kids and schools from the so-called educational reform movement.The following example illustrates why we are concerned. The Board met on January 21, 2016 and spent much time on the issue of the use of Native American Mascots. Despite objections from many people and the fact that the Board has said that equity is a stated goal, the rule and resolution passed after some shenanigans revealed in the following video. Some Board members were surprised by the fact that some wording that described the objection of many sovereign tribes was taken out of the accompanying resolution sometime between the previous Board meeting and this one. When asked why, someone from ODE reportedly replied that it was to make it “less wordy”. One disappearance from the resolution was a statement referring to the inaccurate depiction of Native American culture by some of the mascots currently in use. Board member Charles Martinez discussed the possibility of an amendment to restore the mysteriously disappeared language and was told by Chair Miranda Summer that the vote on the issue would be taken as a single vote, which would include the amendment. Martinez pointed out to Chair Summer that the Board’s procedural rules (Robert's Rules of Order) would have the Board vote on the amendment first and then a separate vote would need to be made on the amended motion. State Superintendent Salam Noor agreed with Martinez and prompted the chair to proceed as such. The motion was made and the amendment passed. Then things started to get uncomfortable at the 30:37 mark of the video. The chair then called for a motion for a vote on the amended resolution and rule. After an awkward silence, it was finally moved. She called for a second, and another awkward silence occurred before it was finally seconded, after Summer asked Superintendent Noor how long she should wait for a second. A role call vote ensued and the motion failed to gain the four votes needed to pass. 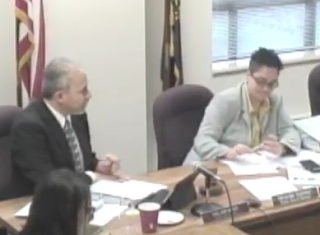 Superintendent Noor whispered to Chair Summer that the Board should go into recess and the video paused. The video resumed after the “break” and Board Member Henry changed his vote from abstain to yea. Motion passed. What happened during the break? Of additional concern is that it has also been reported to us that during a following meeting of the Senate Education Committee, Senator Jeff Kruse congratulated ODE on their ability to get the "desired outcome" on this issue. Now that the Oregon Education Investment Board (OEIB) has been dissolved, the State Board of Education will need additional and constant monitoring to curb the undue influence that the ODE seems to have. Training on Robert's Rules of Order so Chair Summer can more effectively run the meeting without having to consult ODE on procedures. If this is not possible, a parliamentarian from outside of ODE should be provided. A system needs to be developed that would point out changes made in language of agenda items in a summary section that wouldn’t require board members to read through the entire document. We need a transparent and open process for decision making on this board. We had hoped that the sunset of the OEIB would provide that. We fear that unless the public is watchful, the Board of Education will become as closed and uninterested in public input as that now defunct group. Chair Summer: Take back your committee!